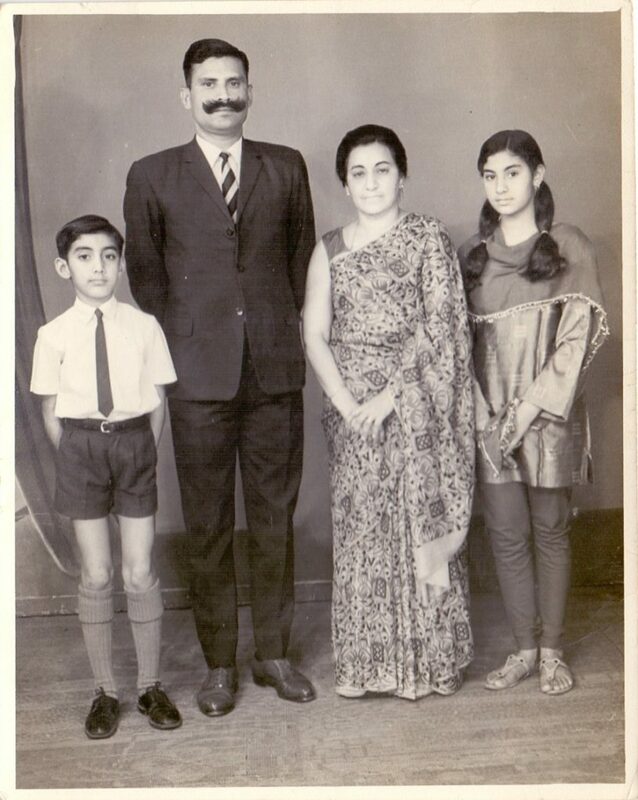 Major Vikrant Sastry was born in the year 1963 on May 19th in an Army family and grew up in various cantonments. 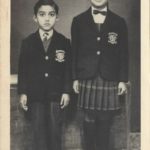 Born to Capt GBVL Sastry, an infantry officer, and Capt Sudarshan Sastry, an officer in the Army Medical Corps, Maj Vikrant Sastry studied from various places and finally finished schooling from Army Public School at Delhi. He then graduated from Delhi University and cleared his Combined Defence Services Examination. He got commissioned into 11 Mechanized Infantry Regiment in Dec 1985 and became the second generation infantry officer. 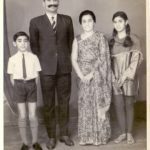 After a couple of years of service, in 1988, Maj Vikrant Sastry got married to Seema and the couple had a daughter, Aishwarya in 1994. 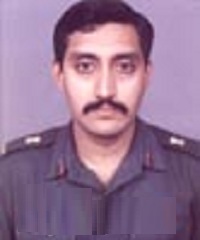 After serving with his parent unit for few years in various operational areas, Maj Vikrant Sastry was later deputed to serve with 32 RR battalion engaged in counterinsurgency operations. 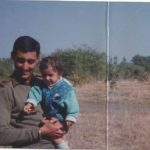 During 1995, Maj Vikrant Sastry’s unit was deployed in the North East and was engaged in counter-insurgency operations against the Naga insurgents, indulging in anti-national activities. 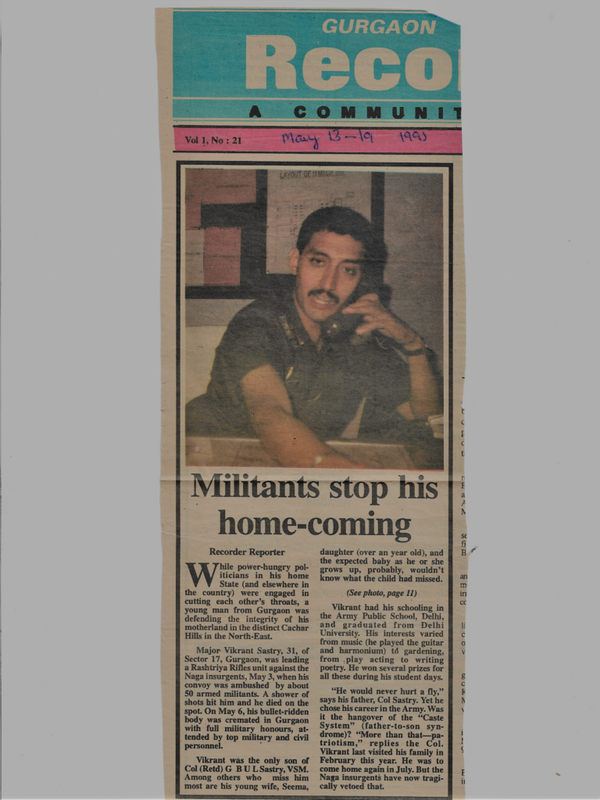 On 03 May 1995, Maj Vikrant Sastry was leading an operation against the Naga insurgents in Cachar hills area. As Maj Vikrant Sastry along with his troops was passing through a insurgents infested area they were attacked by a group of 50 insurgents. It was a pre-planned surprise attack by insurgents who were armed with automatic weapons. Though the troops were totally outnumbered, they swung into action and retaliated as fiercely as they could. However, Maj Vikrant Sastry got hit by a barrage of bullets and was severely injured. He later succumbed to his injuries and was martyred. Maj Vikrant Sastry was a valiant soldier and an officer par excellence, who laid down his life in the service of the nation. 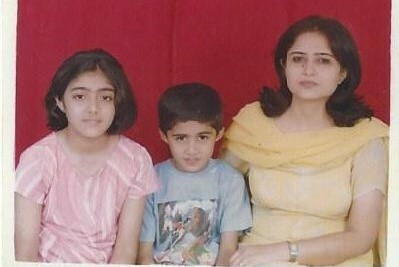 Maj Vikrant Sastry is survived by his wife Seema, daughter Aishwarya and son Vishwas, who was ironically born two months after his martyrdom. 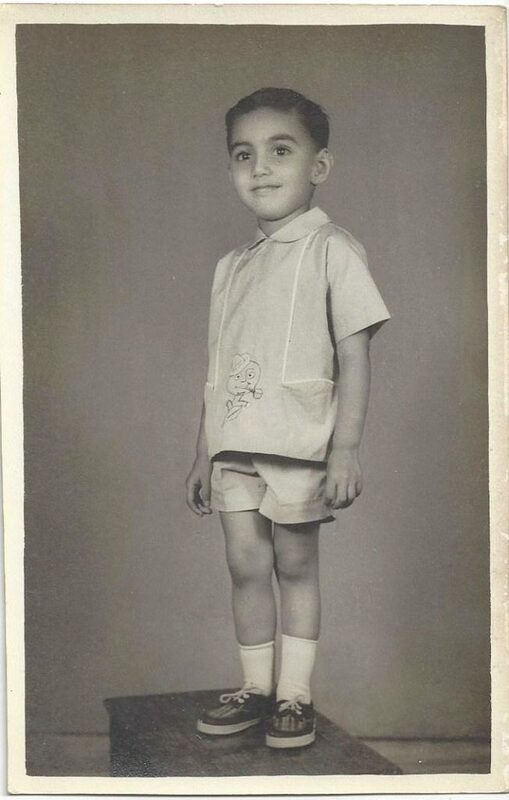 My brother Vikrant, named after the mighty battleship, was born in 1963 to Capt GBVL Sastry and Capt Sudarshan Sastry, AMC… A beautiful, bonny baby, with artistic fingers, I was told. 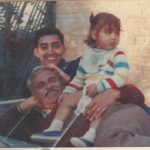 Our growing-up years were typical of the fauji way, with plenty of action, emotions and lessons rolled up into the events of the day. The story-telling sessions with Daddy were not that typical, though. 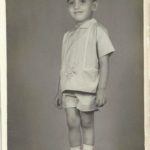 Daddy, the properly attired supremo (cigar et al) sat, always smartly cross-legged while the prajaa, Vikrant and I, also dressed not unsloppily, sat in saavdhaan, all ears, hands-on laps, with no smile. The upper lips stayed stiff as the story was being narrated. I rarely had questions to ask as I have never been that inquisitive—the world has always been as it is. The kid brother, on the other hand, read between the lines, and words if he could help. So every few minutes, the hand with the artistic fingers, would shoot up. “Yes?” And he would STAND to have his mind defogged! How I would stifle my laughter and camouflage the condescending smirk! The Father found it not funny…then. 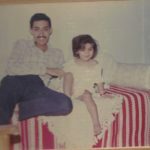 Decades down, remembering the sweet, innocent, good boy, we laughed—together—in memory of our loved Vikrant. 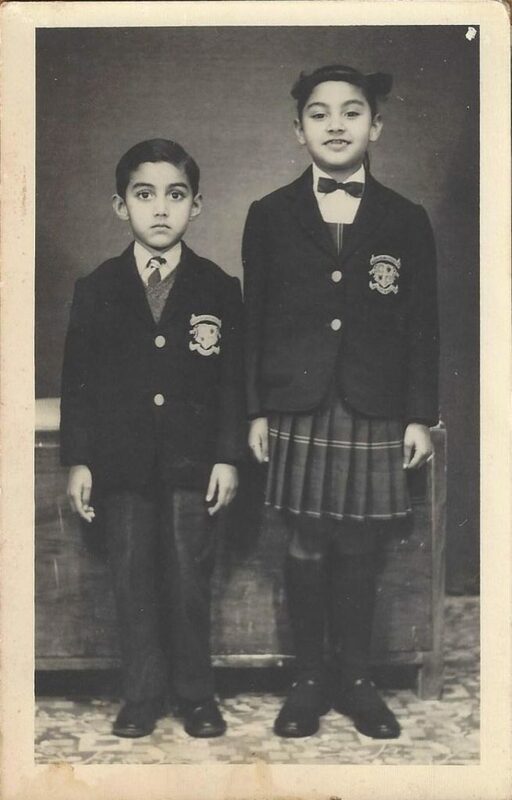 A shy pupil at APS, Dhaula Kuan, he was a junior, much loved and ‘respected’ by his peers. My friends all doted on him. The teachers loved him and he chose to come back to stay at his Alma mater, in the Martyr’s Gallery. He grew into a very private youngster, sharing little, even with me. Or perhaps I, the extrovert, had my mind and plate too full! He kept a tidy cupboard and admonished me for the stuffy and overflowing interiors of mine. 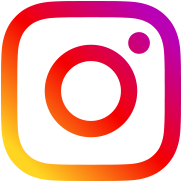 He would demonstrate to me how it was indeed possible, to turn in bed, without crumpling the sheet and displacing the quilt and wondered why I couldn’t get it right. I still don’t get it! He tired of me and my ways and decided to move into the covered balcony, bag, and baggage. I didn’t miss his nagging! Pursuing his graduation from Delhi University, what made him take his CDS Exam? We learned of it only after he had cleared it. 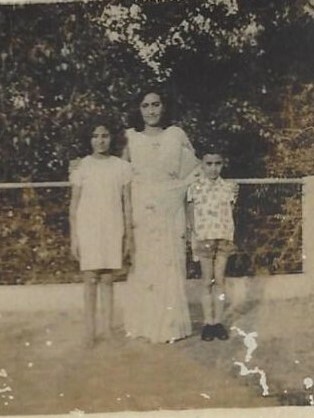 He had a parental claim to 8 Mechanized Infantry (7Punjab) but his brother-in-law (my husband) was well ensconced there. 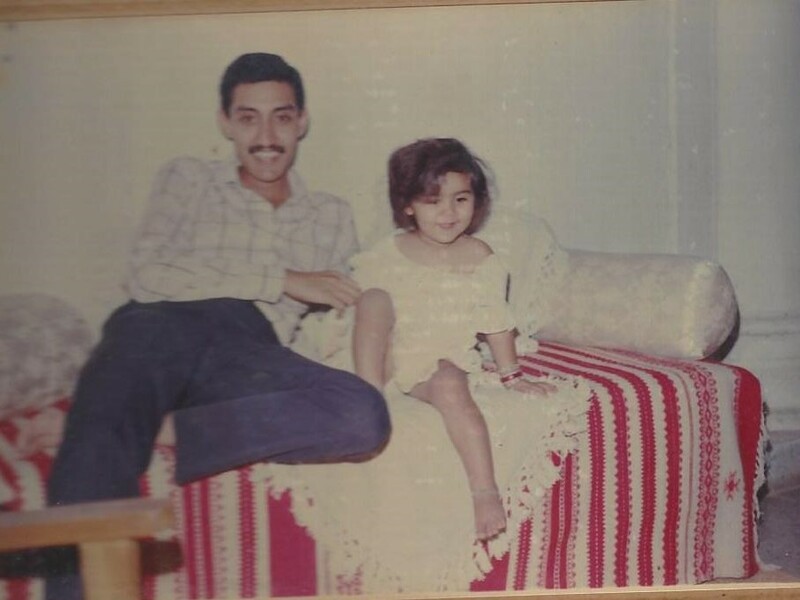 He got commissioned into 11 Mechanized Infantry (18 Rajputana Rifles) in December 1985 and all was well. 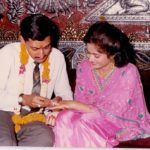 Marriage to Seema in September 1988 and a happy domestic life followed, with the birth of their daughter Aishwarya in 1994. The move to 32 Rashtriya Rifles was his last. What was uncanny was the sense of foreboding and unease we all felt when he received his posting orders. There was something not quite right. A disturbed night it was, for all of us. Inexplicable, in fact, since none of us were new to such moves. Daddy had been through wars and my husband was then in the Valley, with letters few and far between. Then why the tugging in the chest? A few months down, on 3 May 1995, we knew why. 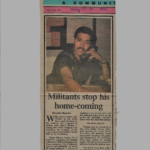 Vishwas, his son, arrived in July 1995, ringing in Hope. The only Hope for the now rapidly aging parents was that their son had come back to them in the form of this tiny being. But they couldn’t help feel the sadness fill them up, each time they looked at their young daughter-in-law, granddaughter, and grandson—no son! He was the missing link. Had this story been in isolation, it would have been easy to come to terms with. It wasn’t the first, and it isn’t the last. 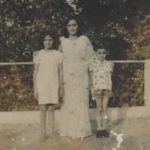 Admiral Tahiliani and Air Marshall Suri asked my father if they could bear the pall. Their graciousness was overwhelming, but in my anguish, I asked of them, “Is he the last to make this sacrifice? Does his martyrdom count for anything? Have we achieved anything?” The lowered damp eyes of two erstwhile chiefs said it all. Painful for them. Painful for me. I let them take my brother away! Content contributed by Family members. I bow my head to the heroes who sacrificed their lives for our peace. They will be remembered by the nation for all times to come. Salute to our beloved Major Vikrant Shastri . Hats off to real life heroes & bravehearts like him!! We sleep in peace thanks to these gallant n courageous men..
God Bless & protect his family always.. Martyred in the prime of his youth… he gave his all that anyone can give to the Nation… a loss that is irreplaceable….. you will forever be missed ….. and the tales of your glory will live on…. Rest in Peace Vikrant ; Hope this Nation will never forget your sacrifice…. An example, and a fine one, of family military traditions. This makes the Indian Army unique. 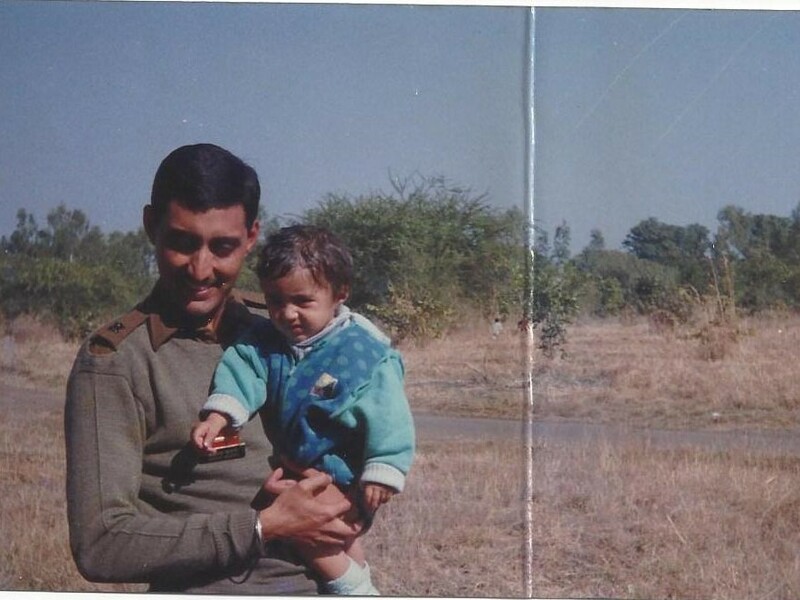 Maj Vikrant was a military baby, a military adult and a military warrior until his last breath. I had the honour of serving with his parents, both military persons. Let us forever remember what it takes to be in the Indian Army, to serve with honour and self respect. 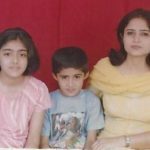 A moving tribute by the sister of the martyr, herself an army child and an army wife. Vikki…so we called him with love. His pleasent demeanors were unmatched. He wrote to me about the life in RR, just a few days before the supreme sacrifice. He was made of elements of great comradery and spirit of uncommon kind, which is why the braveheart chose to hold Chetwode credo dearer than his own life. You will live in our hearts forever. We salute you in earnest.